The following text was transcribed from The Bridge Magazine published in 1972 and was written at that time by Mrs. Maeve Kenny. The I.C.A. meetings in Ballinrobe were held in Mrs. Kenny's home on High Street around 1974 if I recall correctly! 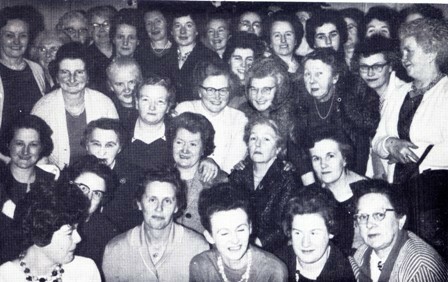 “The Ballinrobe Guild of the Irish Countrywomen’s Association reached its 21st on November 21st 1972. It is planned to hold a Dinner & Social at the Lakeland Hotel, on Dec 12th 1972 to which Founder Members are invited to join us to celebrate this occasion. This Guild was started on November 21st 1951 in the Courthouse, Ballinrobe by kind permission, when two Organisers from Dublin came to explain its aims and objectives and by the end of the evening it was unanimously decided to form a Guild. By January 1952, forth-nine members had been enrolled and since then the Guild has gone from strength to strength. A vast number of handcrafts have been learned by the members – rugs, toys, lampshades, rush work, leather work, slippers, gloves, lace, crochet, dressmaking, celtic-work on bauneen flannel, quilting, patchwork, - you mention it – we’ve made it! Lectures and Talks: accidents in the home, fire prevention, the kiss of life, cancer, flower arrangements, bird life, drugs, ancient customs and buildings in our area, as well as numerous most interesting and instructive travel talks, films as well as demonstrations from various firms. 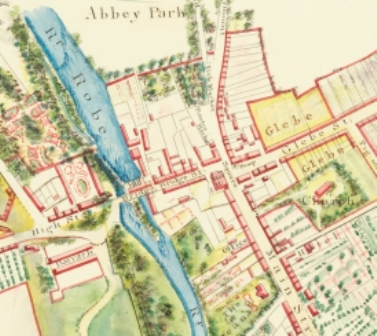 At one time a most successful drama class was formed under the expert tuition of Mrs. Phyllis Hughes, then in Curraghmore, and members were amazed to find themselves on the Town Hall Stage, acting plays and enjoying them. Also a choral group was formed under Mr. Carthy’s guidance, which was much enjoyed. The I.C.A. is affiliated to the Association of the Country women of the World, A.C.W.W. and we were recently shown a colour film of this triennial gathering held in Norway last year, (1971) by an Irish delegate who showed fascination pictures of Members from thirty-seven countries, every colour, shape and size, and a number in their National Costumes. Video clip of the 2011 A.C.W.W. meeting held in Ireland in 2011 indicating that the I.C.A. is still thriving in some parts of the country. This page was added by Averil Staunton on 03/07/2011. Just seen my Mum, Kathleen Walsh in the second from right, second from back wearing Glasses!